Rev’It! 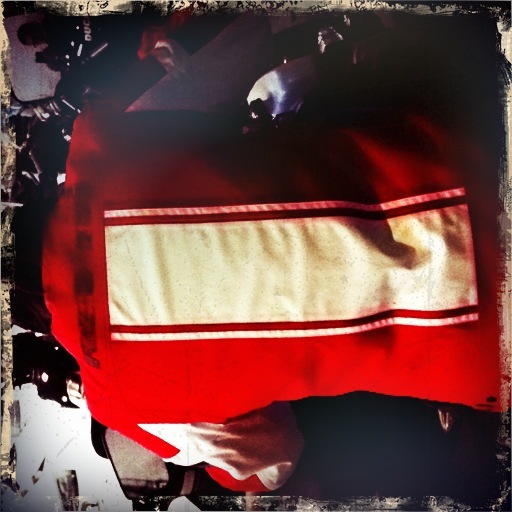 introduced a new retro-styled jacket in 2010. The women’s version is just like the men’s, but with a feminine cut. 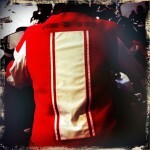 It comes in red and black with white racing stripe accents along the front and back. The jacket has removable elbow, shoulder, and back armor. There’s also a removable thermal vest, which makes this a great option for multi-season riding. The jacket is liner is really comfortable – similar to football jersey material. The front has double-zipper action so you’re well protected from the wind. There are two front pockets with hook & loop (read: velcro) closures, which some people are hesitant about – they like the security of zippers. But these pockets close up quickly and tightly. If you’re still worried about losing stuff, there’s a zippable inside left-breast pocket, which is actually fairly deep. There are snap-button tabs at the waist and wrists for adjustment. There are also zippers on the inside of the wrists, which provide for a pretty snug fit, even for tiny wrists. It’s water resistant and holds up in a good downpour. For DC area summer riding, the jacket (vest removed, of course) does get a little hot at slow speeds and stops, but it’s not so bad when you wear a tank top underneath. 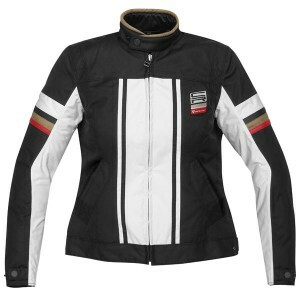 (If you’re looking for a great DC summer riding jacket, check out the Rev’It Air.) The CR jacket perfect without the vest for warmer spring and fall temps, and with the vest does well for colder spring/fall weather. While the racing stripes are sweet looking, the white does get dirty. However, this jacket is washable (hand wash only, hang dry; do not dry clean), so an occasional washing will take care of that. 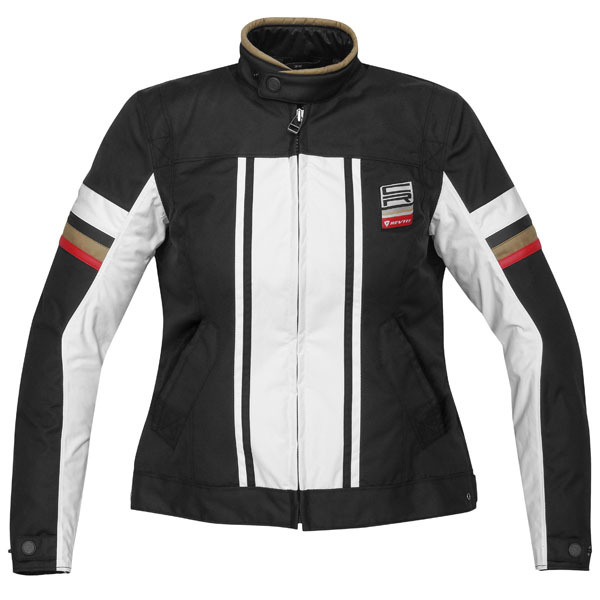 Overall, this is a decent and comfortable jacket for multi-season riding. Not to mention, it’s super stylish, too!